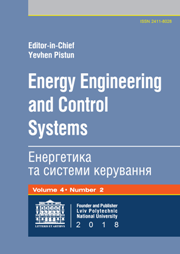 A model of hydro-erosion wear of sealing elements was constructed taking into account a set of parameters that reflect the physical properties of the fluid and the material of the sealing elements, as well as the design parameters of the valves. To determine the dependence of the rate of erosion wear on a complex of parameters, we use the π-theorem of similarity and the method of dimension analysis. An expression is given that determines the change in the thickness of the erosive fracture of the sealing surfaces in time. The value of the maximum possible thickness of erosive fracture of valve elements is substantiated. The index of expenses relative growth, connected with wear of surfaces of sealing elements of the valve-seat system, is presented. The algorithm for determining the rate of wear of elements of the valve-seat system is proposed on the basis of calculation of the coefficient of hydro-erosion wear of the specific pipeline armature elements, which makes it possible to determine the total amount of wear during a certain operating time.